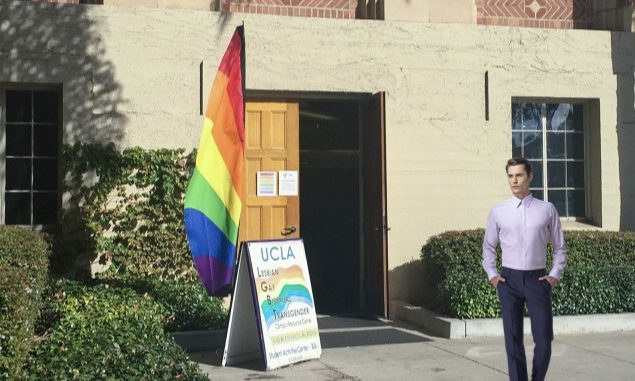 WESTWOOD — Red Bull Campus Ambassador Colin Greene was seen lingering an appropriate fifteen feet outside of the UCLA LGBTQ Center, contemplating whether he should enter the facility to utilize the center’s free printing. 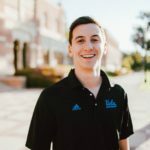 “I have an essay due in ten minutes and no money on my BruinCard,” Greene said, adjusting his Tinder™ hat, “but I want to make it clear that I’m only going in there to print.” Greene expressed that he was hesitant to tarnish his unblemished record of heterosexuality by entering the LGBTQ center without having explained his harmless agenda to potential witnesses. “I’m not, like, homophobic; I have tons of gay friends. I’m just not one who would go into this place, if you know what I mean.” Reports are inconclusive as to whether Greene entered the facility, but witnesses have testified that he was spotted later that night with his fraternity brothers shirtless in the basement slamming beers and being straight.